Myers Volkswagen always gives you more for your money! 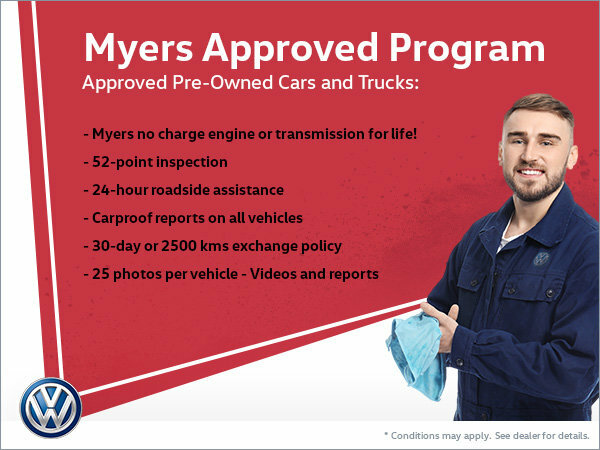 The Myers Approved Program offers many advantages like engine and transmission replacement for life, 52-point inspection, roadside assistance, CarProof reports, exchange policy if you're not satisfied with your purchase and more than 25 photos, videos and reports on the car of your choice! Stay informed on the pre-owned vehicle you're purchasing!